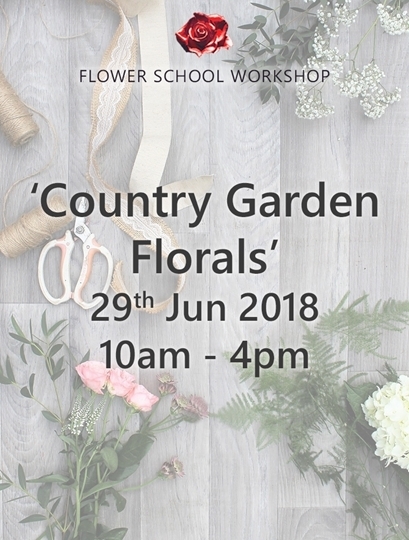 A full fun packed day starting at 10 am and finishing around 4pm - full day workshops are £95 per person, secure your place today with a £50 deposit (non refundable) and pay the balance of £45 on the day! Be inspired with step by stem instruction, create three beautiful displays, understanding design, colour harmony and texture, that are all yours to take home. Workshops take place in Coleshill Town Hall. Saturday 29th June - Full day workshop - "country garden florals"